Here are some details on Santa Cruz restaurants and food-related venues, plus a contest where you can win a food-related prize (see end of article for details). New Leaf Community Markets – all locations are open both New Year’s Eve and Day, with shortened hours. See web site for exact hours (varies by location). 1) If you are one of the 12 people who won a prize during my recent “12 Days of Christmas” promotion, you are ineligible for this contest. 2) Pick contest A or B to enter – you can only enter one! 1-8 We love Pork! In all it’s goodness….bring a bib for juicy pork spareribs, pork sliders, wedge salad with Corralitos bacon and more. Soquel Vineyards will be pouring and Ken Constable will be playing. Don’t miss it! 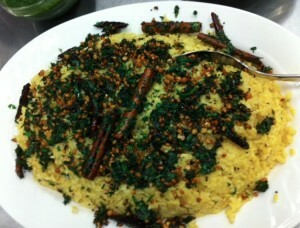 1-15 Crab Feed with Guest Chefs Paul and Terry Gregory Quick! Before the season ends…Who can be satisfied with just one crab dinner? Not us. Reservations are required to be sure we have enough crab for everyone. Wines will come up from Monterey County’s Scheid Vineyards and music from Jay Alvarez. 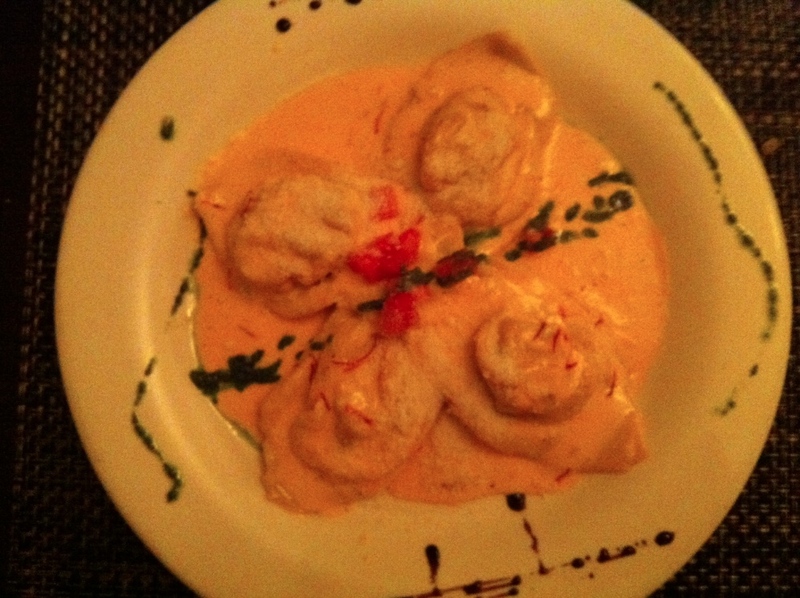 1-22 Cioppino – Soquel’s own Pinky Gilmore is known for her famous Cioppino. You usually have to wangle an invitation to her house for some but tonight she will make it at Michael’s. If you haven’t tried the Renwood Zin, now’s your chance. Also pouring the Lee Family Farms Verdelho. And they both go great with cioppino. Kevin McDowell will play guitar. 1-29 Grandma’s House Come on down for some meatloaf, mashed potatoes and all the cozy comfort foods from Grandma’s kitchen. An old-time Soquel favorite, Bargetto Winery will be pouring and David O’Connor will play. Contest B – Kelly’s French Bakery has generously donated a $25 gift certificate. Choose sweets, savories, or anything in between! Entry deadline is Sun. Dec. 30 at 6 p.m. The drawing will take place that evening; the winner will be notified via email. 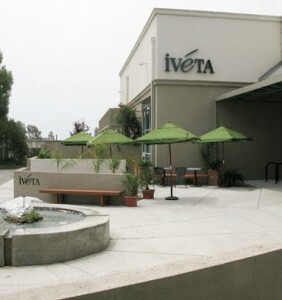 Since Summer 2010, family-owned-and-operated Santa Cruz restaurant Café Iveta has provided locals with great coffee, tea and espresso, a variety of lunch items such as sandwiches and soups, and many pastries including scones (interesting fact: scones are how Iveta first started, as a food company with products including baking mixes with scone mixes as its specialty). I am a fan of Café Iveta and want to share some of the changes at Café Iveta that have occurred in the last few months. 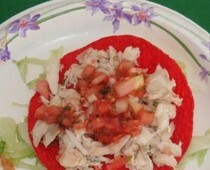 Lunch offerings have always included several tasty sandwiches served on local fresh bread. There is a BLT (Iveta’s best-selling sandwich) with crispy hardwood smoked bacon, fresh Bibb lettuce, and homemade spicy mayonnaise. Some customers add soft-poached egg or avocado. Or Tunisian Tuna with white albacore tuna, red and green bell peppers, and hot giardiniera, and Caprese with fresh mozzarella, homemade pesto, and tomatoes. Now the café also has a lunch combo for $8, which is perfect if you’re in the mood for something lighter. You get a half-sandwich plus a cup of homemade soup or a half Italian salad. Soup choices vary and have included roasted eggplant and cream of mushroom. The salad features mixed greens, garbanzo beans, tomato, shaved Parmesan, and homemade croutons. Another new lunch choice: “quick-grab sandwiches,” perfect if you’re on the go or want a small sandwich for any other reason. These are Salami and Provolone ($3.25) and Imported Prosciutto and Brie ($4.95). In recent months, Café Iveta has done some successful remodeling. Now there is an expanded gift shop and a very pleasant large patio. The retail shop has items like scone and muffin mixes, tins of tea, and bakeware. Also, the café has an upstairs area available for rental if you are in need of a Westside Santa Cruz space for a work meeting or a small party. It’s about 300 square feet; contact ivetaloft@gmail.com or (831) 234-5653 for more information. Kelly’s French Bakery and the Swift Street Courtyard are hosting a community dinner market this Saturday, June 25, from 5:30-9pm, and several restaurants and wineries gather for a unique experience. This is the fourth Dinner Market; the first took place in June 2009. Folks get to choose from a variety of foods and drinks at affordable prices, then sit outside at tables set up just for the occasion and enjoy their purchases plus live music (folk, jazz, and swing). Before selecting which food and drink to buy, each adult pays a $5 admission fee which benefits Santa Cruz Cancer Benefit Group, which has worked since 1995 to raise money for organizations (such as Hospice of Santa Cruz County and WomenCARE) and fund new research. Kids 12 and under are free. With each ticket purchased, attendees receive a complimentary raffle ticket for prizes including a Ward Coffey surfboard and a $300 Southwest Airlines gift card. You can also buy extra raffle tickets if you want to increase your odds. 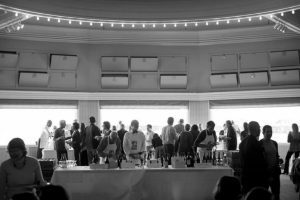 Restaurants, stores, caterers, and wineries will all have booths at the Dinner Market. The six wine vendors include Vine Hill Winery and Santa Cruz Mountain Vineyard. The brewery Santa Cruz Mountain Brewing will be selling organic beer. Food vendors include Feast for a King Catering (Saturday’s choices include Pomegranate Chicken and Strawberry Lemonade), Cafe Ella (selections include Savory Bread Pudding), Nuevo Southwest Grill (Ceviche Tostada and more), and el Salchichero (Brisket Tacos is one offering). el Salchichero is Swift Street Courtyard’s newest retailer; read about the butcher shop that opened in February 2011. For full list of vendors and selections, see Kelly’s Bakery web site. Everyone is encouraged to bring their own plates, utensils, and glasses from home – and cloth napkins if possible – to save on waste. 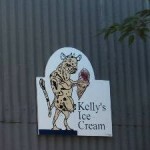 The ice cream window operated by Kelly’s French Bakery, first opened in June 2010 but closed for the fall/winter seasons, is re-opening today with free ice cream! To get free ice cream on Friday, April 8, 2011, you need to name owner Kelly Sanchez’s favorite ice cream, which is Caramel Almond. With this information you receive a free ice cream cone (your choice of flavor). The ice cream window is located in the same courtyard as the bakery (called Swift Street Courtyard, it’s located on Ingalls & Swift), and now offers milkshakes and malts. When the ice cream window is closed, during the colder months of the year, you can still buy it – you just have to go into the bakery itself. 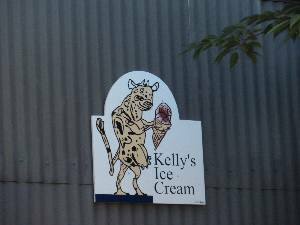 To learn details and the history of Kelly’s ice cream and sorbet, which is made on-site at the bakery, read my comprehensive article from last summer.